I, as well as many of my Readers, continue to be frustrated by this annoying problem. Oftentimes there are simply no visible controls or even hidden ones for that matter, that will allow you to toggle the audio to on. I’ve spent tons of time trying to figure out a consistent workaround for this…but there simply isn’t one. What I’ve uncovered instead is why this has become such a huge problem. The reason is because in the fall of 2017 WebKit.org mandated new video policies for ios. The auto-play settings for videos were changed. Videos could be set to auto-play… but only without sound. The only way that a specific website will display the proper controls for users to toggle audio on and off is if, when the video is added, everything is setup properly on the website to begin with. If it isn’t then there’s a good chance that there won’t be any audio controls that will be available to users. Here’s a decent explanation of the problem. Given this knowledge, as well as the fact that the problem has persisted this long, coupled with the fact that Apple doesn’t appear to be addressing it…means that there’s only one additional suggestion I can add to those that follow in the paragraphs below. When you encounter this problem, make sure that you let website owners know it exists and that when they include videos with no sound it’s really annoying for readers like you. Send them the link above so that they understand this problem is under their control…not yours. And ask them to fix the problem! Read on for some ideas of how to solve the problem at various websites when they have taken the time to set things up properly. Ever since I updated to ios 10 I’ve had intermittent problems playing videos using Safari. Sometimes if you tap on the video just right a ‘muted’ megaphone icon appears that you can ‘unmute’ by tapping on it (see the screenshot below.) 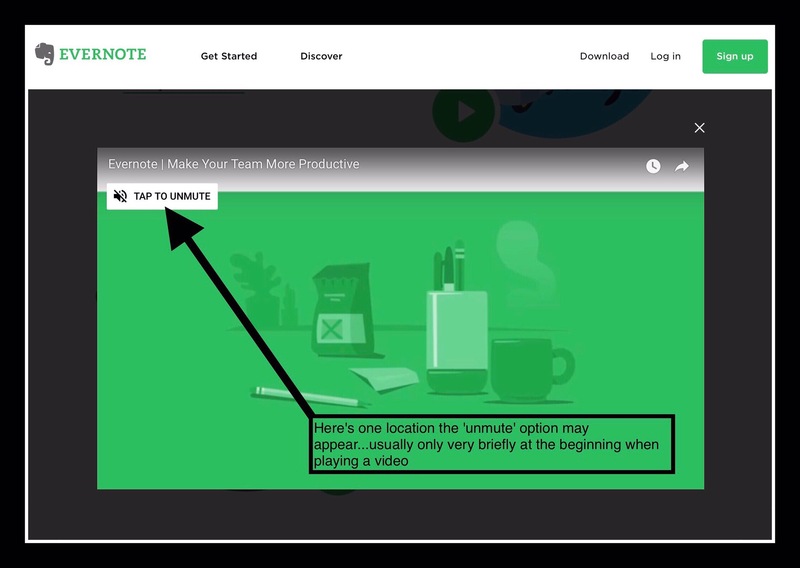 Other times, as in the example of the video shown below, the ‘unmute’ option appears briefly when the video begins playing. But oftentimes that alternative isn’t available at all. I don’t know why, but I always forget that there’s usually a simple solution to the problem, which is why I’ve written this post. You just open Control Center and look for the volume slider….it’s usually turned all the way down. Why this matters when the volume is turned all the way up using the hardware button….I don’t know. But it’s a quick fix for the ‘No Sound’ problem. If the video is from YouTube and you have the YouTube app installed on your device, opening it in YouTube almost always resolves the sound problem. Sometimes the YouTube app is displayed at the top of the tab window and tapping on it opens the video in YouTube. But sometimes the option to open the video in the YouTube app isn’t present at the top of the screen. In those instances it may not be obvious how viewers go about opening the video in their YouTube app. 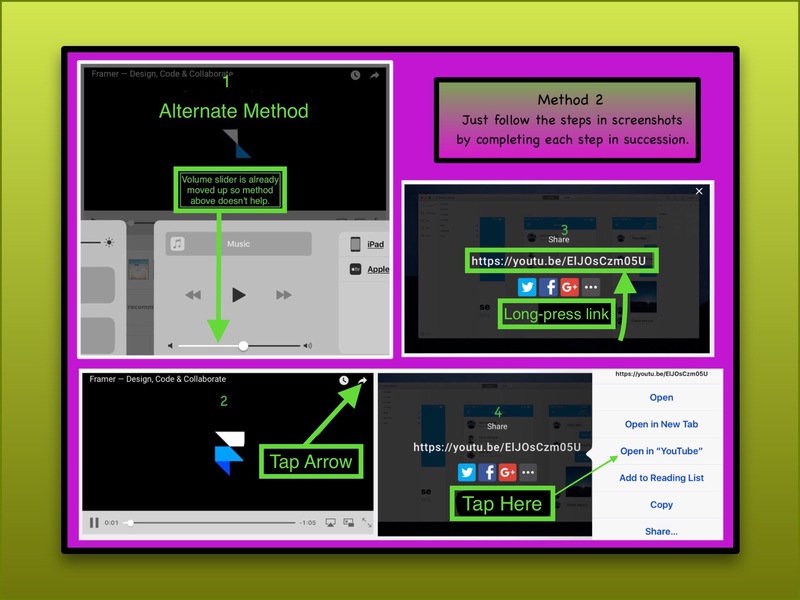 Remember this alternative only works if you have the YouTube app installed on your device. Just follow the Steps 1-4 labeled in green in the screenshot below. When you reach Step 4, long pressing anywhere on the YouTube link will cause the Menu shown in the #4 screenshot below to appear. Sometimes just tapping all around the inside edges of the video player will reveal where the megaphone icon controlling the sound is…but sometimes it doesn’t. Which is why I’m including more ideas and places to look below. I just ran across a video where I discovered a new trick. It appeared that there was no way to get sound playing on this video. Since it was a Corporate one, I couldn’t go to YouTube as a workaround either. It turned out that in this instance…full screen mode was the key to unlocking sound! See the screenshot below for where I found the control. This post gets a lot of readers and I think one reason maybe because there’s such a large number of sites with embedded videos and every player seems to be different. I decided to add this section where I can add additional examples as I run across them. I’m still using ios 10 on my most used iPads because I use Notes a lot and those I’ve updated to ios 11 experience such a large lag time when working with Notes that it’s unproductive for me at this point to switch. So, most of my examples are generated in ios 10. But the net effect should be the same. This first example needs a bit of explanation. The website above shows thumbnail clips in the right hand margin. When you tap on one it enlarges and moves to the middle of the screen. But try as I might I couldn’t find any volume control in the video player. Then I realized that the thumbnail on the screen was still there and there were some slightly opaque controls which appeared. That’s what I used to turn on the volume. But the thumbnail I show and the full sized video are 2 different ones because I didn’t realize when I took the screenshots that the video I selected hadn’t played, but the one above had instead. Tapping or clicking on each screenshot should enlarge it. 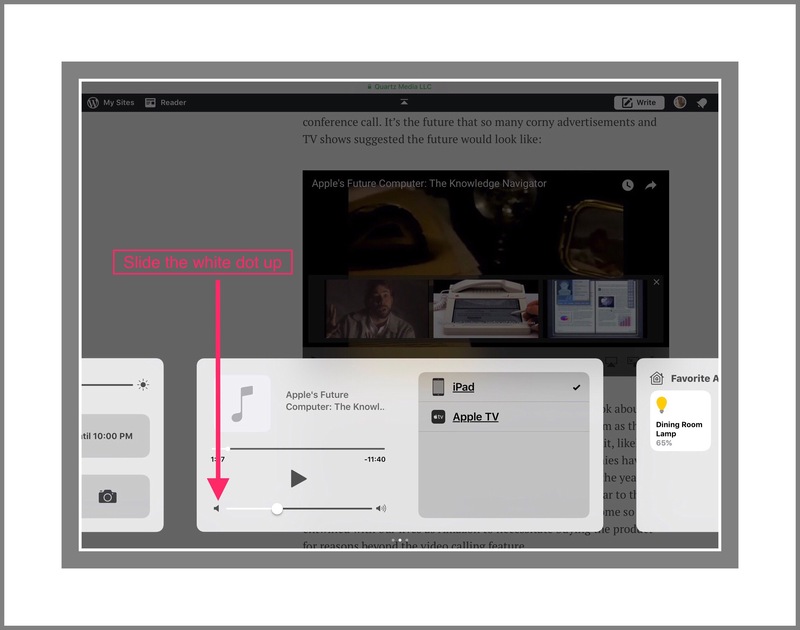 When a N Y Times video begins playing it will be silent too…but using the screenshot below as a guide you can find where the audio is controlled and just tapping or clicking on it immediately gets the audio working. 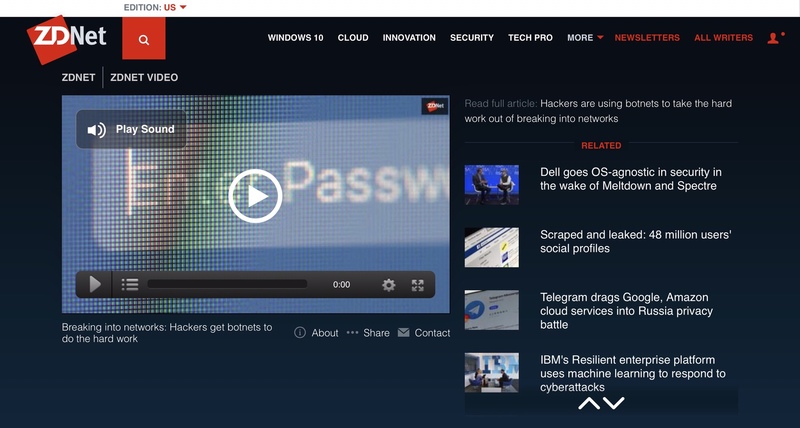 With the big, hard to miss icon at the top left which immediately appears when this webpage opens, I didn’t have to waste anytime messing with this video before viewing it! I was really thrilled to run across this today as I did my biannual review of botnets…if you’re wondering why botnets, it’s because that’s how this site first began. It tells me that websites are maybe beginning to figure out and solve this problem for their users! While this is currently unsubstantiated, I could have sworn that I ran across something yesterday that referenced how Google is changing the way videos auto-play in their own Chrome browser too. If anyone has more information on this I’d love to hear about it. Since we’re traveling I don’t have a ton of time for research right now! If my Readers come across great examples to share, please do so by sharing the link in the Comments section below my bio. This entry was posted in ios, iPad and tagged ios 10, ios 11, ios tip, iPad, iPad Pro, iPhone, Safari Problem, videos don't have sound ios. Bookmark the permalink.